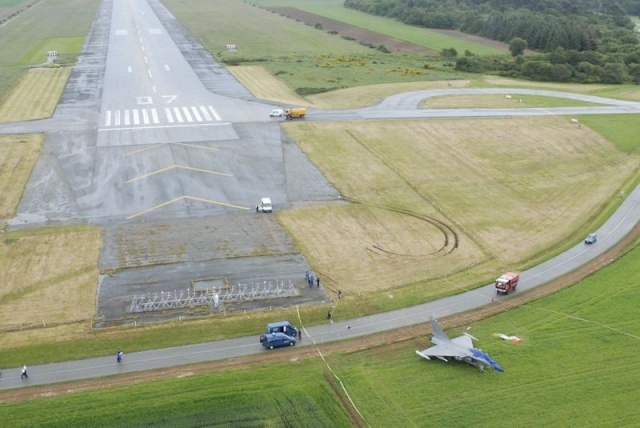 Le jeudi 22 mai 2008 à 10h34 locale, un Rafale de la 12F de l’Aéronautique navale qui venait de prendre la mission de permanence opérationnelle est sorti de la piste ouest de la base aéronavale de Lann-Bihoué (piste 25 en service). 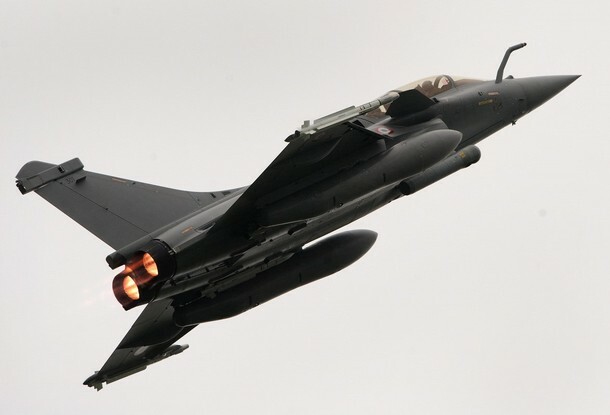 Le pilote s’est éjecté et a été récupéré conscient pour être évacué sur l’hôpital Bodelio de Lorient où il est placé en observation. 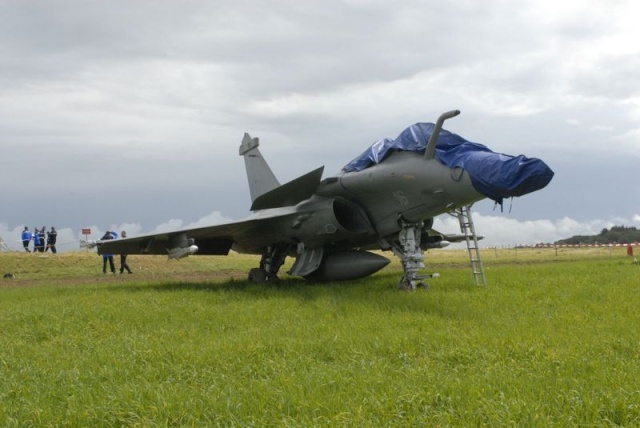 L’avion qui est resté dans le périmètre de la base a été sécurisé par les services techniques de la Marine. Les causes de l’événement ne peuvent être établies pour le moment et devront être déterminées par une enquête technique. ATLANTIC OCEAN (July 20, 2008) Lt. Cmdr. 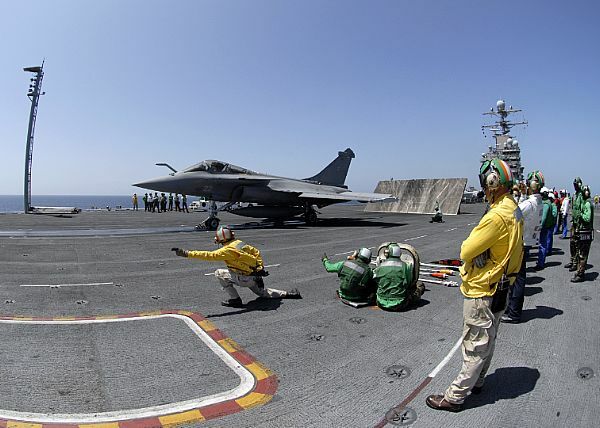 Christopher Biggs shoots a French F-2 Rafale off the aircraft carrier USS Theodore Roosevelt (CVN 71) during combined French and American carrier qualifications. 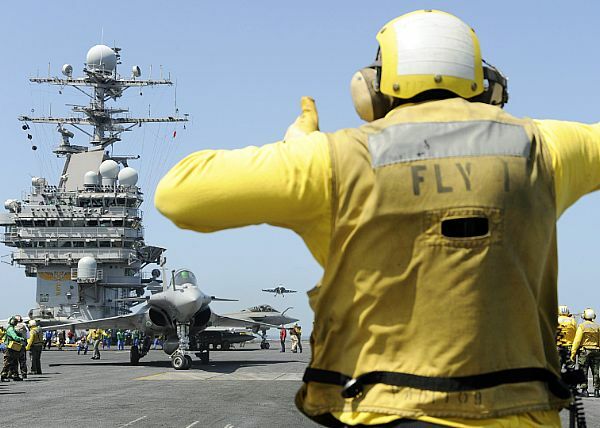 This event marks the first integrated U.S. and French carrier qualifications aboard a U.S. aircraft carrier. 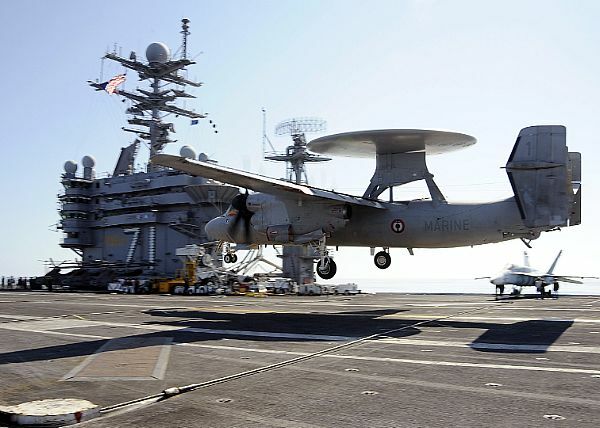 ATLANTIC OCEAN (July 18, 2008) A French E-2C Hawkeye early warning aircraft, assigned to the 4th Squadron, lands during a historic joint French and American collaborated carrier qualification aboard the aircraft carrier USS Theodore Roosevelt (CVN 71). 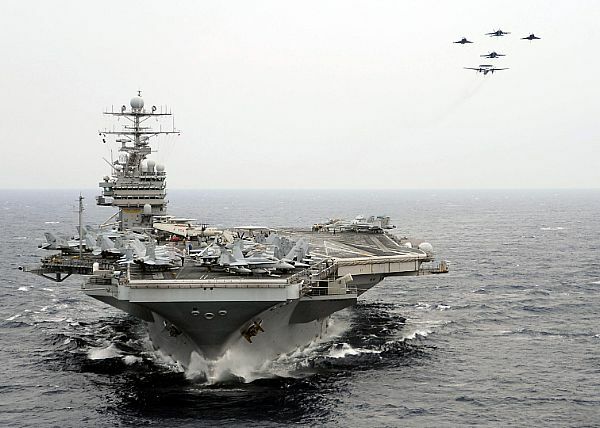 The Theodore Roosevelt Carrier Strike Group is participating in Joint Task Force Exercise "Operation Brimstone" off the Atlantic coast until the end of July. 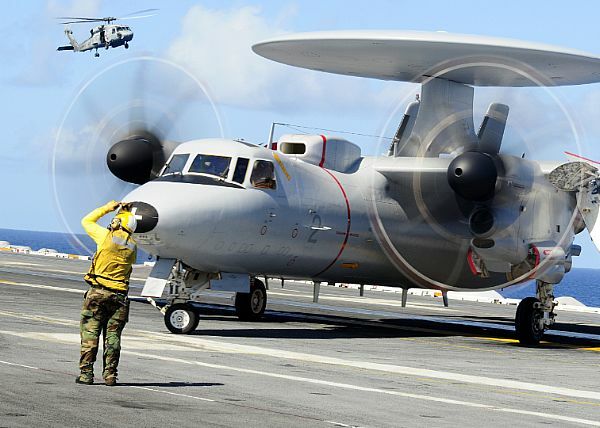 ATLANTIC OCEAN (July 19, 2008) An Aviation Boatswain's Mate directs a French E-2C Hawkeye during combined French and American carrier qualifications aboard the Nimitz-class aircraft carrier USS Theodore Roosevelt (CVN 71). 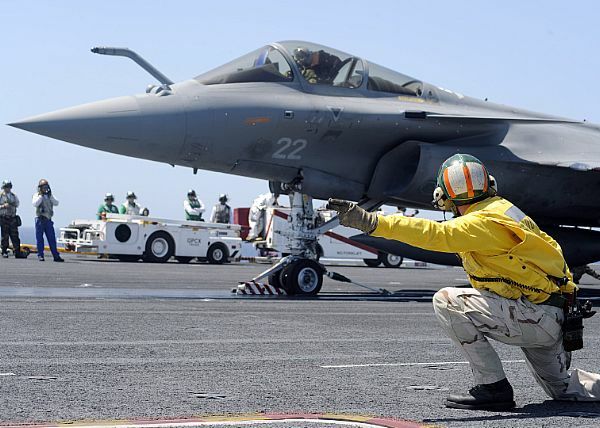 This event marks the first integrated U.S. and French carrier qualifications aboard a U.S. aircraft carrier. 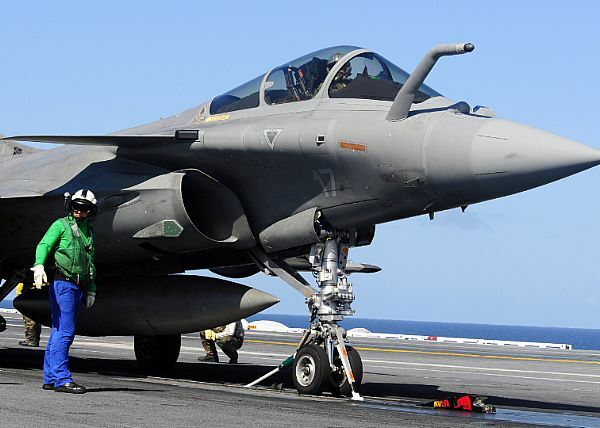 ATLANTIC OCEAN (July 19, 2008) A French F-2 Rafale fighter prepares to launch during combined French and American carrier qualifications aboard the aircraft carrier USS Theodore Roosevelt (CVN 71). 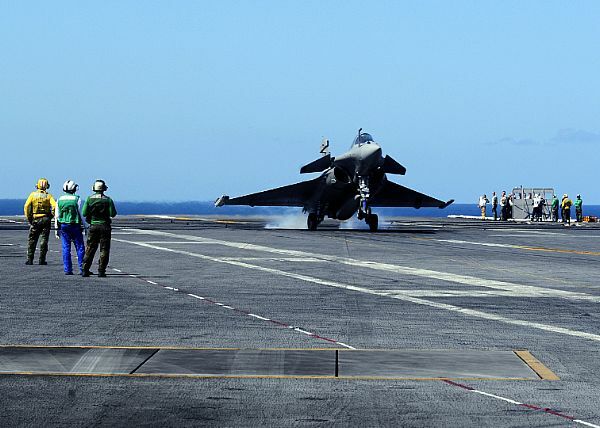 This event marks the first integrated U.S. and French carrier qualifications aboard a U.S. aircraft carrier. 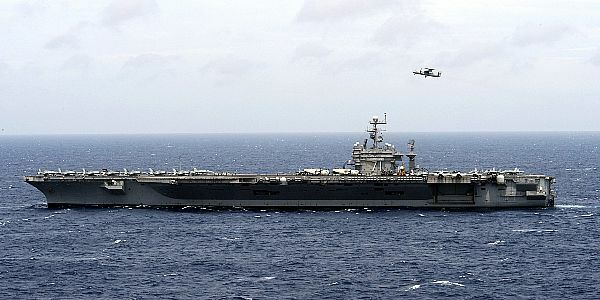 The Theodore Roosevelt Carrier Strike Group is participating in Joint Task Force Exercise "Operation Brimstone" off the Atlantic coast until the end of July. 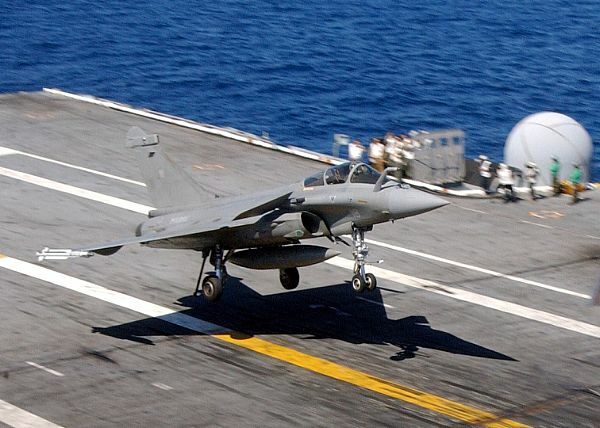 ATLANTIC OCEAN (July 19, 2008) A French F-2 Rafale fighter lands aboard the aircraft carrier USS Theodore Roosevelt (CVN 71) during combined French and American carrier qualifications. 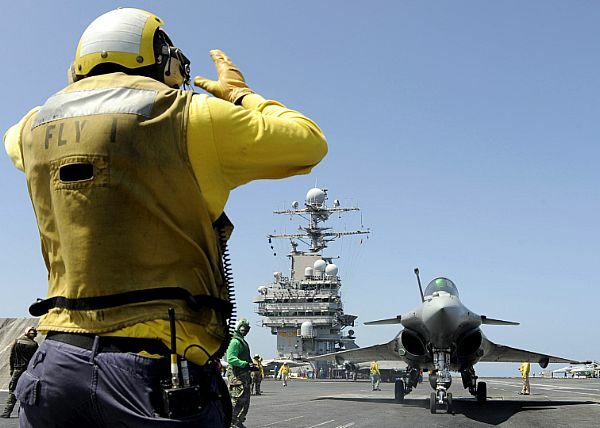 This event marks the first integrated U.S. and French carrier qualifications aboard a U.S. aircraft carrier. 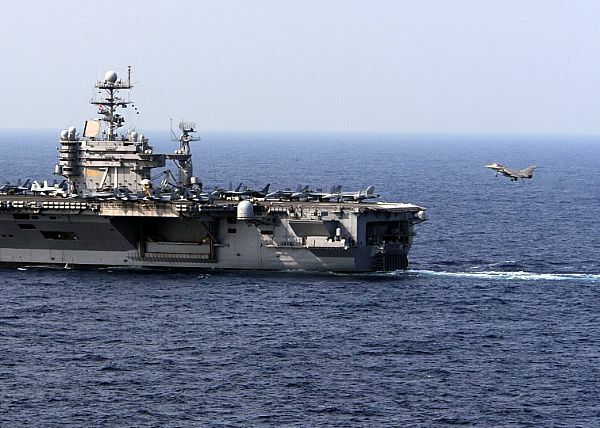 The Theodore Roosevelt Carrier Strike Group is participating in Joint Task Force Exercise "Operation Brimstone" off the Atlantic coast until the end of July. 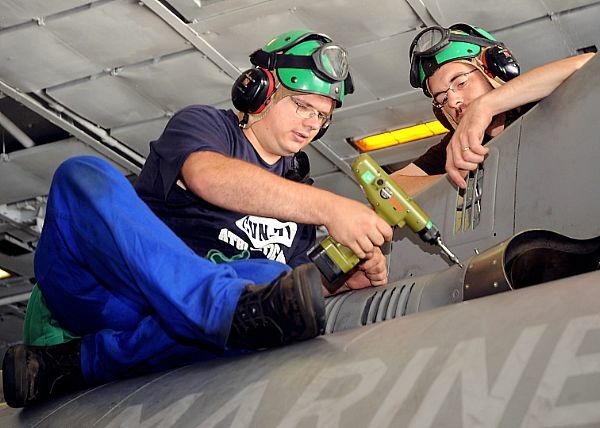 ATLANTIC OCEAN (July 20, 2008) French navy sailors Seaman Master Thomas Vasseur and Seaman Master Wilfried Delalande perform maintenance on a French F-2 Rafale fighter in the hangar bay of the aircraft carrier USS Theodore Roosevelt (CVN 71). 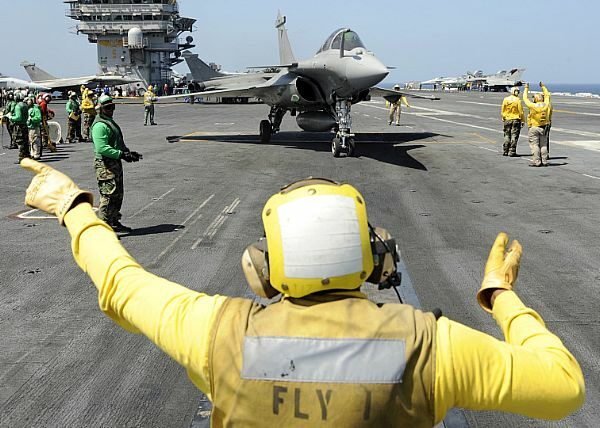 French sailors participate in an event that marks the first integrated U.S. and French carrier qualifications aboard an U.S. aircraft carrier. 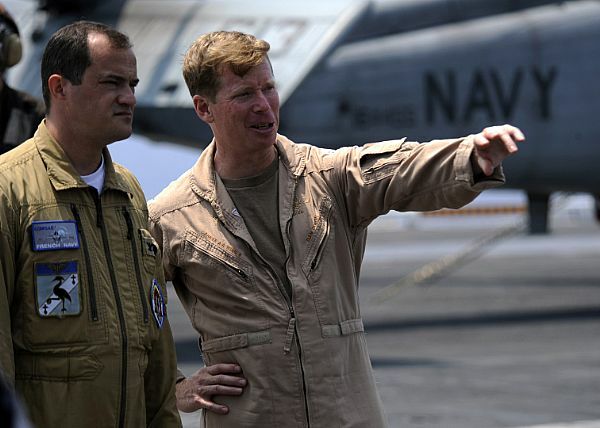 The Theodore Roosevelt Carrier Strike Group is participating in Joint Task Force Exercise "Operation Brimstone" off the Atlantic coast until the end of July. 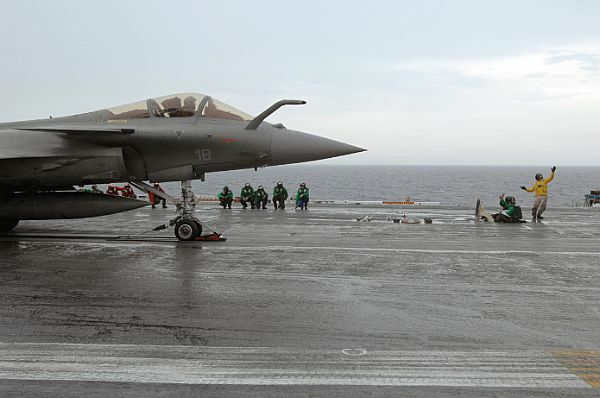 ATLANTIC OCEAN (July 20, 2008) Aboard the aircraft carrier USS Theodore Roosevelt (CVN 71) during combined French and American carrier qualifications. This event marks the first integrated U.S. and French carrier qualifications aboard a U.S. aircraft carrier. 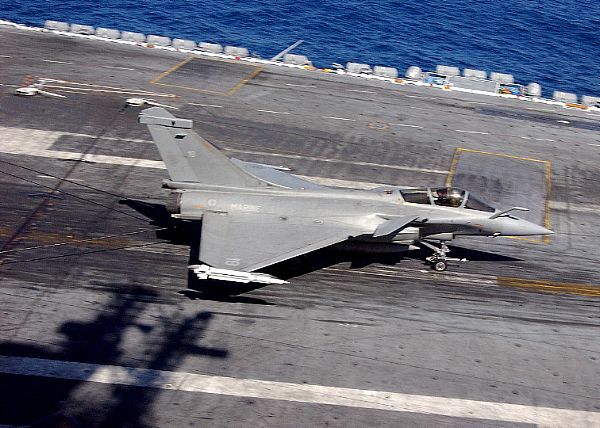 ATLANTIC OCEAN (July 20, 2008) Aboard the aircraft carrier USS Theodore Roosevelt (CVN 71) during combined French and American carrier qualifications. This event marks the first integrated U.S. and French carrier qualifications aboard a U.S. aircraft carrier. The Theodore Roosevelt Carrier Strike Group is participating in Joint Task Force Exercise "Operation Brimstone" off the Atlantic coast until the end of July. 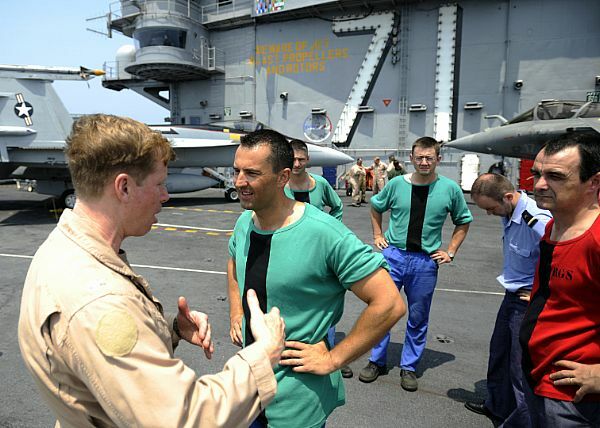 ATLANTIC OCEAN (July 21, 2008) Aboard the aircraft carrier USS Theodore Roosevelt (CVN 71) during combined French and American carrier qualifications. This event marks the first integrated U.S. and French carrier qualifications aboard a U.S. aircraft carrier. The Theodore Roosevelt Carrier Strike Group is participating in Joint Task Force Exercise "Operation Brimstone" off the Atlantic coast until the end of July. 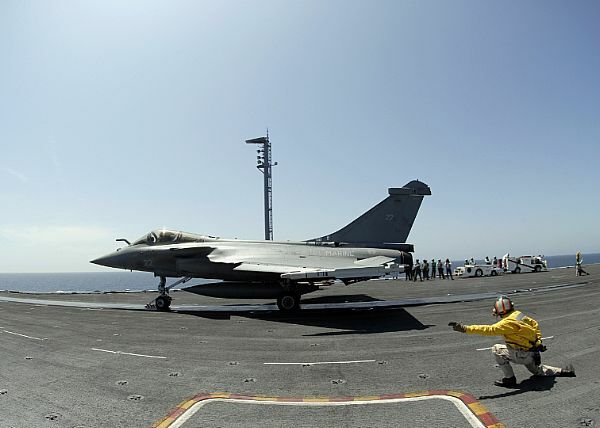 ATLANTIC OCEAN (July 22, 2008) Aboard the aircraft carrier USS Theodore Roosevelt (CVN 71) during combined French and American carrier qualifications. 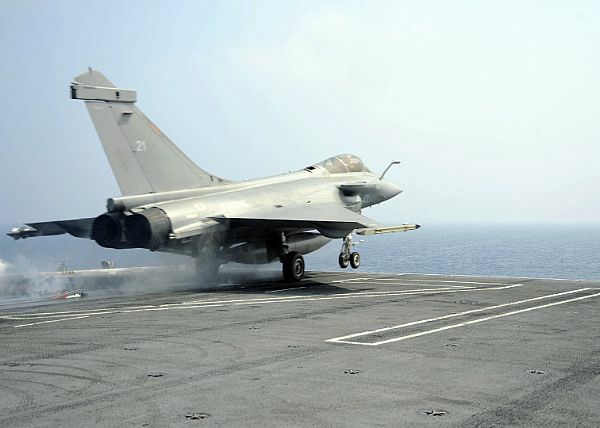 This event marks the first integrated U.S. and French carrier qualifications aboard a U.S. aircraft carrier. The Theodore Roosevelt Carrier Strike Group is participating in Joint Task Force Exercise "Operation Brimstone" off the Atlantic coast until the end of July. ATLANTIC OCEAN (July 23, 2008) Aboard the aircraft carrier USS Theodore Roosevelt (CVN 71) during combined French and American carrier qualifications. 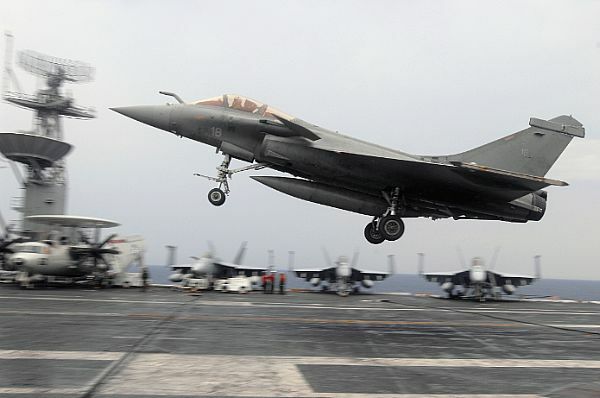 This event marks the first integrated U.S. and French carrier qualifications aboard a U.S. aircraft carrier. The Theodore Roosevelt Carrier Strike Group is participating in Joint Task Force Exercise "Operation Brimstone" off the Atlantic coast until the end of July. 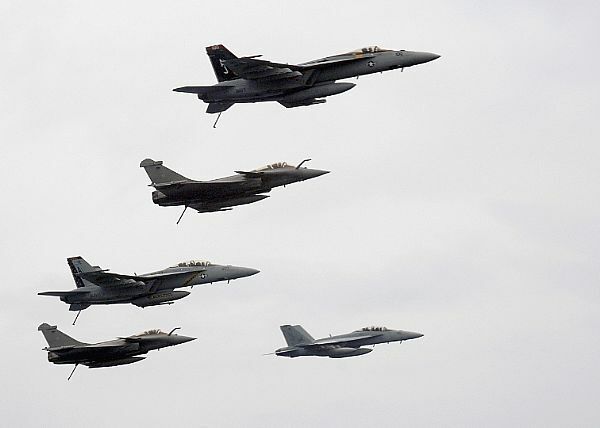 ATLANTIC OCEAN (July 23, 2008) French F-2 Rafale M, E-2C Hawkeye and American F/A-18 Super Hornet aircraft perform a fly-by over the aircraft carrier USS Theodore Roosevelt (CVN 71) during integrated French and American carrier qualifications and cyclic flight operations. The Theodore Roosevelt Carrier Strike Group is participating in Joint Task Force Exercise "Operation Brimstone" off the Atlantic coast. 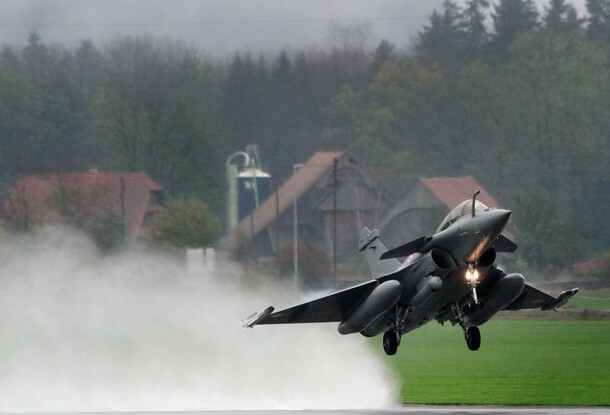 A Dassault Rafale fighter aircraft takes off on October 28, 2008 in Emmen, during a media presentation of one of the three candidates for remplacement of the Swiss army jet Tiger along Saab Gripen and Eurofighter Typhoon. 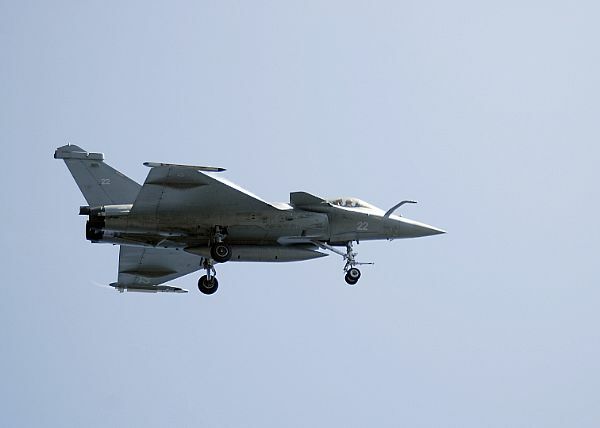 Two two-seaters French aircrafts are being stationed one month in Switzerland for flights and ground tests. 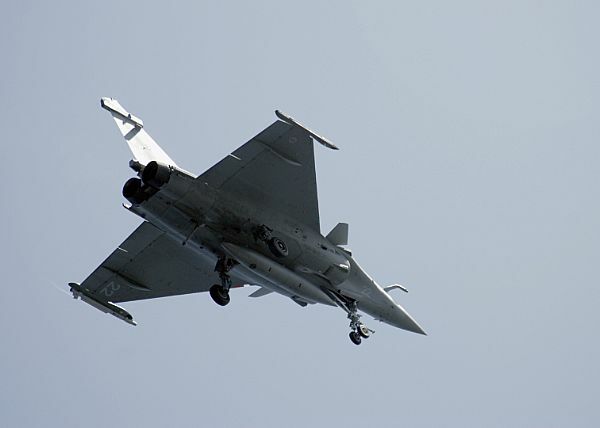 The selection of the aircraft type is planned for July 2009.